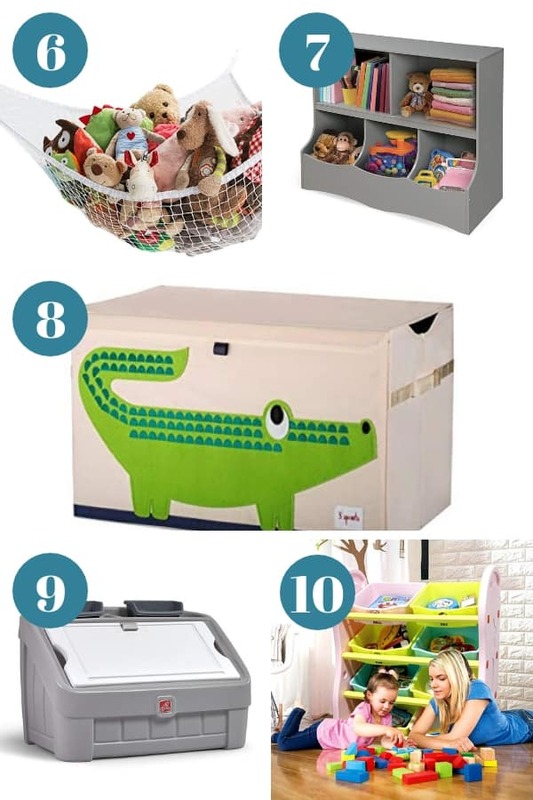 The Best Toy Storage Ideas on Amazon! 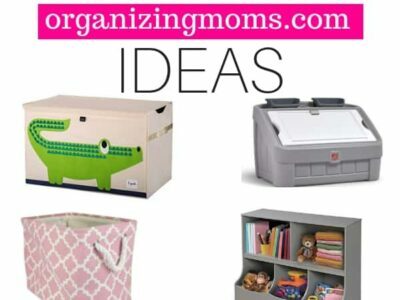 Looking for the best toy storage ideas to free your home from clutter? There is something about a child and their toys, in the blink of an eye, your home can be overrun by toys. 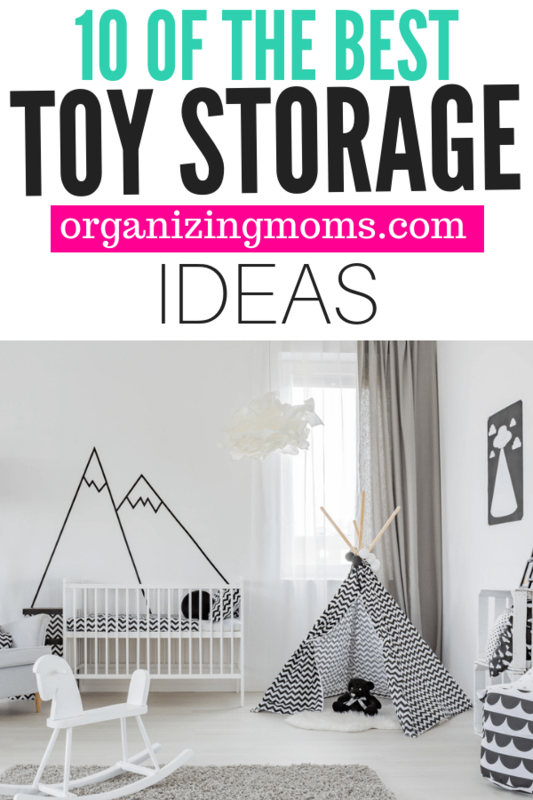 I have some awesome toy storage ideas to clean your home up and give it an element of style by these toy storage pieces. 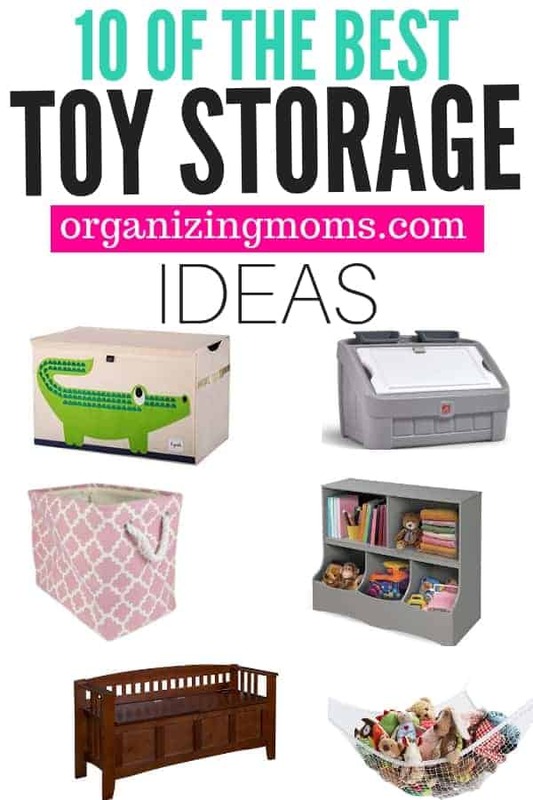 Here are some of the best toy storage ideas that you might consider for your home. These storage pieces below will fit all different homes and spaces, so you have a variety of options. You will also find different price points, so hopefully, you can find the perfect piece for your playroom. Collapsible Bin | Bins like this offer a statement of design as well as a storage piece for the room. You can have one of these tucked in the corner of a room to store some toys, and it adds color as well. They fold up so if you don’t want to use it, you can easily tuck under your bed or in a closet. A very affordable option as well. Split Seat Storage | This is a storage area but also seating. I love the idea of this in a playroom so you can have a place to sit and it can hold stuffed animals, dolls, or whatever toys you want. Toy Chest | Looking for that classic toy chest with a slightly modern twist?! This is it, ya’ll! I love the white, it really gives a clean appearance, and it is a nice size so a lot of toys can be hidden inside. Wall Shelf | Not a lot of floor space? Use a wall shelf to tuck in books, small toys, or whatever you are needing to find a place for. This also can be a nice display piece for your playroom or child’s room. 3-Piece Wall Shelf | Another larger size shelving set is this 3 piece set. Easy to hang, decent storage, and can free up floor space from a bookshelf! A good idea for those who don’t have a large room to work with. 6. Hammock | Another really affordable option are these hammocks. They hang from your ceiling and you can hang light items like stuffed animals. 7. Cubby Bins | This cubby bin set is really nice and made from wood. You can store all types of toys and sizes, which is nice. Plus you can buy multiple ones to set them by each other for a nice crisp look. 8. Fabric Chest | If you want a chest but can’t afford a really nice wood one, these fabric chests are a great option. You can find tons of prints and styles to fit your theme of the room. 9. Toy Box Art Lid | Here is an activity piece and a storage for toys! Stuff in larger toys and then use the base to draw on, paint and more. 10. Organizer Storage | Add some labels and use each cubby as a storage piece, for certain toys! A great way to store a lot of toys in a compact way. Want to remember this? 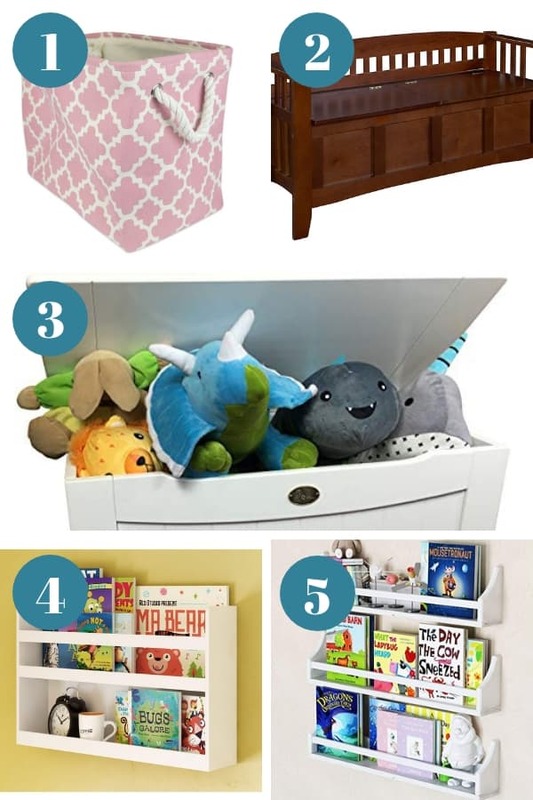 Save The Best Toy Storage Ideas on Amazon to your favorite Pinterest board.